Although most might know him as a member of Animal Collective, Noah Lennox’ most defining moments are under the stage name Panda Bear. Panda Bear was featured on Daft Punk’s 2013 album Random Access Memories in “Doin’ it Right” which assumedly pushed Lennox to release his first EP Mr. Noah in 2014. However, Panda Bear’s new release Buoys filters in light and texture amidst raining patterns of synth and altering melodies of strumming. Hit track “Dolphin” was released as a single with an accompanying music video late 2018, and both the track and the visuals drip with ambiguity. Guitar strumming in “Cranked” plays the bassline, as laser beam sounds echo behind Lennox’s melodic speaking tone. Lennox’s vocals sound relatively similar from track to track so it’s easy to find yourself lost within the album–stuck in a frame of the unconscious mind. “I Know I Don’t Know” offers us a pop-indie hit to sway our hips and two-step to, as synth sounds spill into the air and layered vocals with proverbial lyrics funnel the sound. The leaping melody tunes your ear to coast along on an atonal airwave with Lennox. Buoys is innocuously dream-like. There is something lustfully appealing about Panda Bear, diversified from the disjointed sound distortion of Animal Collective. 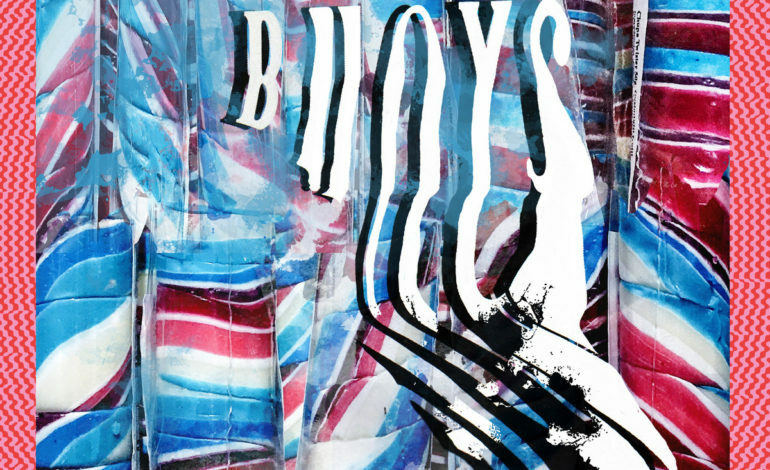 The title track “Buoys” draws a colorful musical outline for the album’s intentions, but Panda Bear blows past these boundaries with added synth, experimental pop vocals and indie back-up tracks. The longest track on the album at 4:37, “Inner Monologue,” diverts from the album’s flow with an intro of gasps and disturbed breathing. This track screams feeling behind its mellow melody. Locked inside a brittle box of mental seclusion, Panda Bear knocks rhythmically into the melody to expand his creative limits. In the subsequent track, Panda Bear lifts the probationary ceiling to teach the listener a new understanding of musical composition. This “Crescendo” comes to a close as echoing bubbling sounds drain the outside world like noise-canceling headphones. As delayed gratification catches up with listeners, Panda Bear reaches the musical transcendence they waited for in “Home Free.” The LP is truly a long play-game with musical indifference–testing the waters with experimental bedroom pop. The psychedelic nature of Buoys does not go unnoticed by listeners, and Panda Bear won’t stop exploring this route of musical liberty.